The title is “Lust 3” and it seems somehow Ishida already applied a styptic drug and anesthesia. Inoue goes to help, but is blocked. Inoue sees Ichigo whose eyes have opened/are widening. 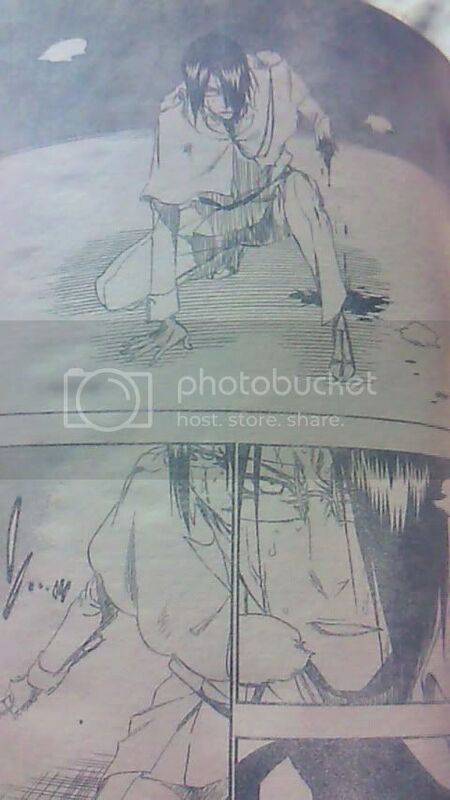 Ishida is blown away and loses his left arm. Ishida keeps fighting even though he is constantly being beaten up. Inoue sees Ishida being beaten up so she panics. 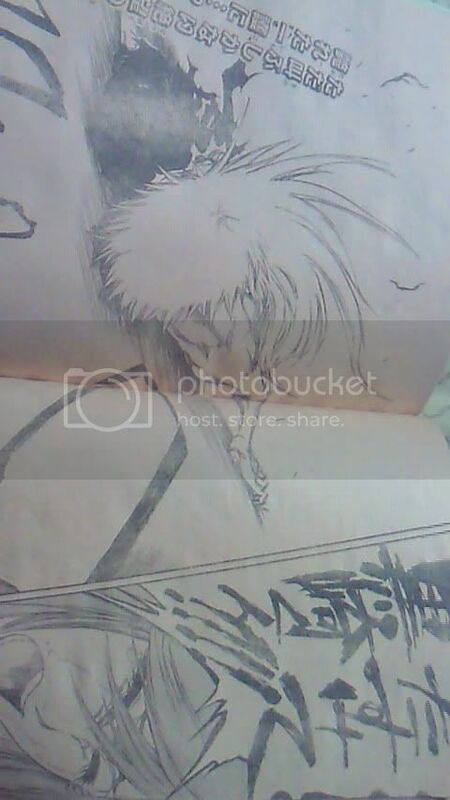 Then, she keeps sceaming Kurosaki kun and calls out to him for help.